Learn more about Lee's Rest Houses and our Trust that was created under the Will of Dr. Charles Alfred Lee. 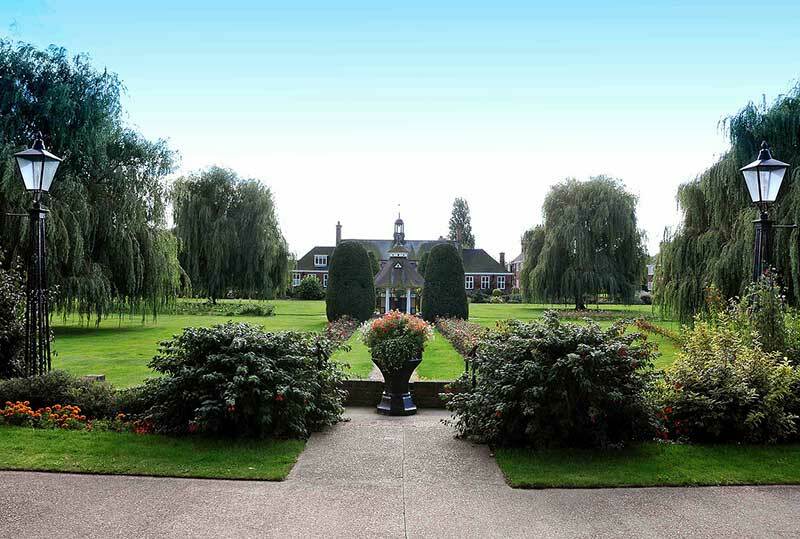 Look through our image gallery and explore our houses, along with the stunning grounds they are set within. Find out if you are eligible to apply for accommodation at Lee's Rest Houses and the associated charges. On here you'll find everything you need to know about Lee's Rest Houses retirement flats in Hull. As a registered charity we aim to have something different to offer you, so please feel free to browse our website and contact us should you need any further information or if you wish to look around. Since living at Lee’s Rest Houses I have made lots of friends. I join in with lots of the activities and attend the weekly coffee mornings and I feel happy and secure living here. The people who live here are very friendly and you cannot go anywhere on site without someone stopping to chat. The flats are very comfortable and the staff are very helpful and friendly. Having lived at Lee’s Rest Houses for almost 18 years I don’t think I could have found anywhere better. We have the most pleasant surroundings and excellent accommodation. Contact the friendly team waiting to answer your questions at Lee's Rest Houses today. Whether you are interested in learning more about Lee's Rest Houses, would like to arrange a visit or have made a decision and you are ready to submit an application, you can contact us using the details available here. Our retirement homes are available to people living in Hull who are between the ages of 60 and 73. Applications can be made by first contacting the manager and making an appointment to visit our homes. The Trust was created under the Will of Dr Charles Alfred Lee, a bachelor who died in 1912. Most of his estate was left to Trustees to provide retirement accommodation to people who have served the community. The retirement flats (or apartments) are situated in the beautiful surroundings of our grounds which include gardens, allotments, the Hall and social areas. The Allotments are maintained by our residents. Retirement homes, retirement flats & retirement accommodation in Hull. © Lee's Rest Houses. All rights reserved.